The organisation is focused on bringing together the best in transport, environmental and marketing practice. Go Travel Solutions works in collaboration with leading transport consultants, local authority partners, operators and support agencies to tailor solutions to the requirements of customers. This enables it to deliver travel and transport solutions that provide discounts and benefits and enhance economic and social well-being by reducing road traffic and carbon emissions. Over 50 years’ combined experience and expertise in travel sectors help our stakeholders and clients to maximise their mobility whilst minimising environmental impact and costs. It is testimony to the appetite and capability of Go Travel Solutions that the company can successfully engage with partners from across a broad spectrum. 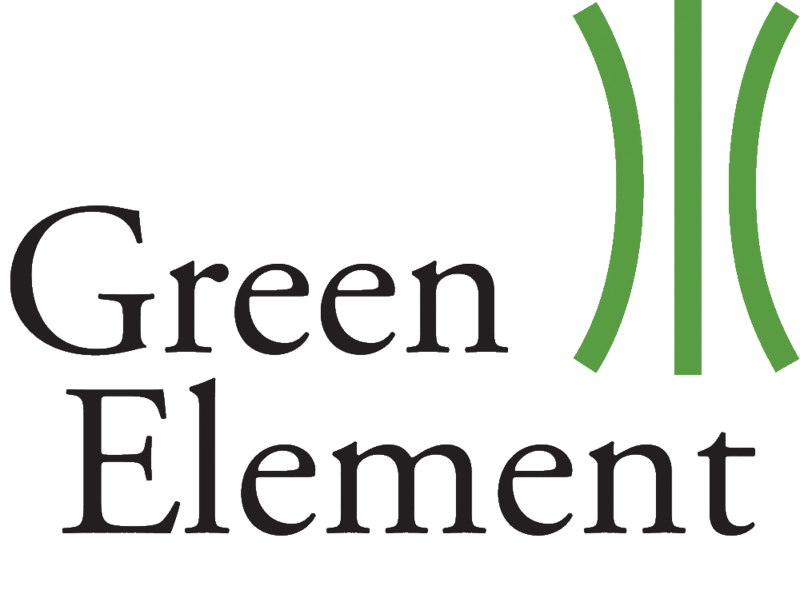 Will: Hi Robin, thank you very much for joining the Green Element podcast. I can’t wait to listen to all about your organization and what you do and how you help people. Largely because we’ve known each other now for I’d say probably about a year and a half now. We work together through different means, so tell us a bit about who you are, what purpose you have and who you work with. In terms of our kind of motivation, why ten years ago now I set the business up. We were very much sort of focused around, can we make a difference? It might just be a small difference but my background prior to that I’ve been in corporates, but also large organizations. Coming out of that you can think well, okay great, I really had an appetite to be part of something which was maybe that’s where I could be more physically see the difference on a day-to-day basis. Once upon a time I did a transport degree and it worked in the Boston District and I’d also work then with businesses as well. it was that that blend a different thing that came together that really made me think, is there a market here for actually creating a practical place, space where we could provide advice and support around travel, be that pure water work or well that’s traveling to and from residential areas, we just thought there was an opportunity there. My own personal motivation was also driven by my own Christian faith. I just thought I want to do something at the end of the day where, yes money is important but there’s more than that. Interesting, my wife had just set her own business up, a separate enterprise two years before. There’s a little bit of well thinking, well, she’s done that, what can I do? I know she’s making a success of that, hey look, what can we do here as well? Will: What business is that? Robin: She’s in preschool. So, it’s a play group, it been running now for 12 years, called Hopscotch, I’m a non-exec director on that one. It’s a very different space, children were more often not wouldn’t engaging with corporates. Well the principles, they’re set up as a cooperative, we’re set up as a cooperative and it’s in very different ways it’s about adding value. It’s more than just about says we’re going to generate profit out there, but it’s actually it’s doing some of that profit it’s for a greater purpose. Will: So, why did you set up as a cooperative? Robin: I suppose it’s for consistency. It is really looking to have a consistency of approach to say, I want to be very much even though initially it was just myself, there’s now five people in the business. I didn’t want a sign of success for me with the organization was probably in years to come, for people not just seeing it as being throb and pointing accurate travel solutions. I really wanted it in important thing was actually it’s about the organization. To do that in some ways, it’s about finding different ways, it’s working through others. How do you find different ways in an organization where you go from that dynamic to where it’s one person? One person, I was very well known in the business community and trying to get other people to be recognized and to feel ownership. So, having a cooperative sort of model, which is where a worker’s cooperative kind of helps. But yeah, it’s so great, it’s very much work in progress, but I really do try and when people give a quote and say, really with that in the past or Robin’s businesses really great or whatever. I say, well actually, I don’t really want that, it’s not about me, it’s about the business. Will: There’s no gravity in masses there either. Robin: Yeah. I’m going to be one day, I’ll be moving on possibly. I’ve got no plans to do that but if every time everybody knocks the door would like to do business for themselves and they always ask for me then actually also its restrictive because they’re not going to get me much the time. It’s really one over the people have the ownership, they have the skills and the passion in that area. Will: Yeah, I totally agree. What would you say your business superpower was? I this question. Robin: I was listening to some of the podcasts that you’ve done and listen to some of your answers. Will: They are all so different, aren’t they? Robin: I think where people see the point of difference, if you call that superpower you call it superpowers, is the way that we translate actually the whole intension and the focus and sustainable into very practical actions and particularly around how we can slowly take the carbon agenda and made that about actually how do you say costs here? I’m sure your experience as well there is a certain amount of glazing of ice at times when you say, well actually it’s really important. It gone over people’s heads, the latest reports on climate change. It just made me smile in the week on Monday it was the headline news and then the next day the headline news was the couple in strictly from dancing. What world are we living in here which gives equal weight to some inconsequential, flirtations versus actually, we’ve got a big problem there how we maintain and how we are looking at for this planet but that’s the world we live in. I think about the superpowers, I think it’s very much for us, it’s about what they’ve seen, and we developed these two products called smart goal and local goal. Smart goal for businesses, local goal for communities like new housing developments. What we then say look, participate in this, save money on how you travel, use that as a way of finding a way in to actually doing things which are smarter more sustainable going forward. Will: Okay, brilliant. So, can you tell us about how you engage your staff and suppliers and customers with your mission and purpose? Robin: Yeah, the one thing we’ve done, and I know we need to continue to think about new ways. I’m sure that many organizations to engage I think the best thing we’ve done around that space and in that area where we’ve created on the smart goal side, we have smart goal since 2010. It’s really only been in the last two or three years that it’s really accelerated. For us, I think where we’re seeing the greatest benefits, we’ve set up a smart goal more local communities and businesses. where we’ve created a network to businesses where we ask the business to actually chair that, to actually take the lead. It’s not a big axe but we really want businesses to take ownership and also that we get, I suppose in some ways, what’s the supply side on the table as well. What’s key here is the transport providers because they are part of the answer. Sometimes a part of the problem as well but it’s getting there, I’m staying actually is a shared agenda here. We are all generating this travel piece and grows what we’re trying to do is get people around the table. It’s actually recognized we’re all part of this problem around the mobility and the more the challenges that there are for greater mobility in this country. We can all be part of that solution as well and some of that is about collaboration, about actually sharing ideas, about saying we can do it, share things. So, an example being where we work with businesses, typically we’ll gather data around where there’s a problem from to those different points. Then feedback with the organizations in terms of transport providers, that’s to say look, we’ve got these. How can you take this as a commercial opportunity and create links? Because often what people will say, well, I’m interested in traveling, they’re just not there which is about point, and for many people that’s reality. So, you’ve got to then challenge them, put the ball back in the operators for say well, look here’s the data and here’s the business going through actually do something different because often they’re not engaging collectively, we’ve organizations. The focus was the here and now, so we’re trying to bridge that gap that there is between employers who often operate solo, transport providers who at times don’t have the energy or the resource to engage in effective ways. So, we fill that space and say look, can we create a critical mass there? That means the fundamental here we can actually sustain something greater in terms of links. Will: Okay. When it comes to running an ethical and sustainable business, what would you say your biggest struggle so far? Can you let us know how you’ve overcome it? Will: Yeah, I think you have to touch upon a really pertinent point that you hear on a fairly regular basis. I guess isn’t particularly sustainable, well, it’s not particular environmental, it’s definitely sustainable where I remember my dad used to say to me be really careful, don’t put all your eggs in one basket. You’ve just touched upon that, if two-thirds of your business is coming from one revenue stream and that dries up. I remember I did some work for an advertising agency in London, I think they were called IP. Anyway, 99 percent of their work came from governments, I hadn’t thought about it. Then, I think it was when the one government came over, I can’t remember which government it doesn’t matter what government it was, the work, they just switched. The government when, we’re going to outsource this to a number of different, we don’t think that one should take all and literally overnight they lost all their work and they folded. It was really sad, actually, it was really sad to see because they were a really good organization, but it’s hard and it’s worth thinking about, isn’t it? Because the longevity that we were talking about before with the co-operative model and everything is all a part of the same picture. It may not necessarily be completely environmental, but it is certainly sustainability. Robin: That’s right. If you’re looking to do some good stuff longer-term you’ve got to find a way to and engaging better with our client was far wider and more diverse. and more so from the private side, because one of the realities in our world over the last few years is that the public admission was one of the biggest things will they end up in that’s probably not a bad thing. I’m not sure that some of the Engaging more incorporates and also engage more with this in the transport providers, I think it’s a lot of fun really. There are a lot of things that are broken in our transport system in the bus industry or the cycling division. So, what works to be done and we’re doing a very small piece of work really, trying to knit some of those things together and make it work better. There is a quite a gap of the actual perception, and the perception play a little bit on both cases, challenging individuals. We can actually there are some options that’s more than you thought about and at the same time engaging with the providers that come on. How do you off your game? How do we help you today? Because we have moved over that can do everything, we tell about tails and they go together behaviors and go to Amsterdam, you see a practice rounds travel which is a much more sustainable whole lifestyle which is saying people think that that’s a good thing. Will: Your sound has got definitely worse. It wasn’t amazing right at the beginning, but it was good enough and I feel like that it’s almost like you’re going under water a bit. Robin: Okay, maybe if I speak more pronounced. Will: Yeah, that’s much better. I think maybe that’s what you were doing in the beginning and then you became maybe more relaxed. Robin: Perhaps so, okay, I should be more defined. Will: Yeah, brilliant, thank you because I was just starting to struggle to hear and I just thought actually I don’t want to stop you but, yeah. Will: No, I deliberately waited until I think, later I’ll have a listen to and I’ll send you over a copy of it. If you are happy with the quality of it then we will go ahead and if you’re not then we can always do the whole thing again, I don’t know. Will: If you could offer one piece of advice to our listeners which could help them with their purpose, what would that be? Robin: I think it would be, don’t go chasing the money around. We know from, particularly on the public sector side, there’s in the past anyway, if you just go chasing money for money your purpose, your brand, what you’re known for, will probably get compromised. So, particularly we’ve had this in the past where they funding which also sometimes looks very attractive. A nightmare to then administer and then equally you get involved in SOB partnerships sometimes. Sometimes it’s fantastic and really admirable but sometimes if you’re going for something because the actually it’s going to be important then ability in the business, but the actual purpose behind that funding probably isn’t aligned and clearly with the business itself. Then the real danger is to say you’ll find yourself as say your brand is compromised and actually doing stuff that you don’t enjoy doing. We’re fortunate but I think I’ve almost not every job is is five out of five in terms of pleasure but if we do not have what’s happening here? Are we just doing work because we need more money? And so, I think the message earlier is the question where are you chasing money for the money? And unless you can add real value to that project then sometimes it may be almost better to say to a client or potential client, it’s difficult to say on this one. I think actually we can’t really add a lot of value, that’s ultimately longer term actually will build a far better relationship with them because you’ll gain their respect. And initially, be completely gone because you don’t go, hello what we do here? But I think we’re learning that more and more about saying hey, don’t just go chase the money for money. Ask yourself the question, can we add value in this particular project and activity? Will: Yeah, good advice there. So, when it comes to reducing your environmental impact and carbon footprint of your business, what would you say your biggest challenge or frustration was, is? Robin: I think the biggest, as far as frustration, I think it’s around it’s what happens early with it. It’s about I suppose, it’s being able to we’re probably we need to do to get a little bit stronger around the evidencing of that. Just be able to say, look, this is what we’ve done, this is what we’ve done now, this is the difference. I’m very sure, in terms of culture, in terms of a cultural organization is we are walking the talk, but if somebody says to me, okay, prove it then maybe I say that people were a little bit wrong tricky and I would have to go away and do some work and speak to our colleagues within the business. So, I think there’s an element there where we could do better. But as I am thinking mentally in the head at the moment about what we do, the travel, the consumables we use, the opportunities to do left or to reduce that. just come to mind. I do need to do something we’re in service offices in both Lester and Bristol, and that can be a little bit of, sometimes that becomes a bit of an abdication of responsibility because it becomes obviously you’re one step away from engagement with other people we need to challenge our landlords about those areas as well and not just use it as an excuse to say, well actually they deal with the refuse or they deal with the energy. Will: Absolutely. I think that actually you’ll probably find that quite a lot of other businesses or organizations within your shared workspace probably feel the same. You would be a catalyst, this is what we found. I mean, WWF in a building in Edinburgh and they were rather surprised to find that when they moved into the new building and they spoke to them went right in the first kind of group meeting of the tenants. We like look better recycling, we’d like better energy effectiveness, we’d like this, we’d like to be more environmental. Everyone else in the building went, oh brilliant, yeah absolutely and they all got behind it because they all felt exactly the same. Everyone had their day jobs and they just needed the WWF for the same as you, that they are keen environmentalist. So, therefore they had something that they wanted to push straight off the back. Yeah, I think brilliant, definitely really good thing to do. Robin: Yes, and I’m a minister. Yeah, this the webcast analogy, it’s just a useful product and sort of aid to me to say come on we need to do something, we need to have a conversation with the landlord. Will: Do you mind if our listeners email you and ask you? Will: You can’t even say no to that, can you? Tell us a bit about how you approach environmental management and carbon foot printing. Robin: Say how we do that, Will, that’s the question? Will: How do you approach it, how you approach environmental management. So, going into the more day say, I mean, do you travel a lot, do you consciously do a lot more video calls. Do you go by train as opposed to driving? How do you approach environmental management? Robin: We have what we call a cyber decision tree, this is about helping individuals, and this is much a mental process as it is about going to a policy document but there is that thinking around when we’re traveling at our default will be on longer journeys as they would be good that time. I mean, we’re our UK business so the wrong in saying supplying is they would rather have it comes into it as an even the consecration. But, car versus train it’s not just thinking about the also the relative cost of those in the carbon cost. Because by trained there is a greater time saving in one sense, so you’re driving is a dead cause you’re behind the wheel that’s actually a new virtual time do more. There was two times my best thinking is done on trains, so after this, I’ll for your podcast I go to Birmingham, I go there by train so, would never ever think anything [39:23 inaudible] taking a bite out to do the last mile on the bike. So, we’re doing that one of the colleagues and often is driving an electric vehicle good teams in cyclist and the immaterial world even though. It’s already had. So, that’s how we’re going to doing it. Then we have we do within our expenses, reporting, we do basically look at the carbon impact in terms of the different forms of travel. Because travel it’s probably the one thing that we will do but I say we do more obviously minimize that so carbon impact. Will: Is there any advice for learning that you’d like to share with anyone listening to this podcast and I guess I would extend that to any clients you worked with as well. So, you’re in a fortunate position to have seen a number of organizations become more environmental. So, is there any kind of advice that you could give to people? Robin: I think for the embedding of sustainability, I think are the conversations we have with businesses. It’s that language and often is important is the language you use, and when I set traveling say ten years ago, that language probably was very much all about the green agenda. We know from experience that actually if you just approached an organization purely on the green agenda. Sadly, in many ways, the engagement levels are not always great, because they actually not the reality perception is that means equality from cost, inconvenience, the reality is often a bit different. So, often our way is really talking about it’s about the business case behind it and often the business case doesn’t include money employers around smart goal, we often what we do for them is to give them value statement or to say, well actually you paid this much for your membership, this is how much you’ve actually saved in terms of cost savings for travel. Because at the end the day, money is that the common denominators of currency and nothing if sustainability on the back of that. Then actually you’ve got a bigger audience because everybody business has an interest in costs. Sadly, not everybody’s got an interest in sustainability in carbon. Will: It’s just dawned on me that I could you in a nutshell describe the membership part of your business. Because you just touched on it and I just realized that actually we didn’t talk about it that much and I think it’s such an important thing and it’s such a good thing that you’ve got that. If you could just, if that’s okay. Robin: Okay. So, in terms of the membership scheme we have for employers. We have two schemes, we’ve got smart goal, which is for employers and staff and then we got a scheme called local goal, more around community. So, it might be a housing association, it might be a new housing scheme. So, I think the smart goal is more relevant certainly in some situations. Smart goal is a membership scheme, the employers pay the membership fee of the year and we’re certainly for people who are listening to this. And that scheme is basically, wants the back pay for the membership, they then get access for them and their staff to a whole range of travel discounts. So, over the years, we’ve negotiated with many different operators from train operators, buses, cycling and a range of complimentary areas as well around that to basically giving financial incentives to help people. What smart goal comes with as well as those incentives is an online platform to make it easier for employers to participate and then involve their staff. Then we have a communications platform that works here throughout the period to help engage organizations and staff. What we’re finding fairly consistently is that we have evidence that people ask God for changing behaviors because we know the financial incentives are, they’re sort of 10-15 sort of incentives. There are incentives would get that people who look at them and think actually look at that and we’re finding the switch in terms of and occupancy levels of maybe up to ten, fifteen percent that is fairly common really. It’s not just about people getting a discount of already traveling by buses and trains we can see evidence actually it’s drawing new people in, people that are ordinarily would think in actually I’ll go by car. It’s the only option the people that actually the CD is needed to scale the see the incentive and think actually let’s do that. So certainly, we’re going to delighted to offer some 20% off the membership rates. If people are saying when couldn’t get in touch with ourselves. We’re giving it as an incentive to say, look at it and see whether it works for you. Will: Brilliant. So, what’s the best way we can connect with you more and of course, we’ll be putting a lot of this on our podcast show notes. So, how can we learn more about your organization? Robin: By all means people want to come through to me, so I guess my details will be along with the information with the podcast. So, it’s [email protected] bit of a long domain name, but that’s me, so if people want to come in, we’re quite happy just our informal conversations about ideas and stuff around that. And downstream if we have some value, great but having just have that conversation. In terms of for smart goal, probably best way of accessing that would be to go directly to Ask Marco email. So, if people are watching this and they want to get more information around that then if the email is [email protected] So, a lot shorter name and say you listen to the podcast, you’re interested in that, and some as there’s a discount of 20%. Can you give us give us more details then? Self-appointment with colleagues like filled for get in touch with them and pass them more information. Will: That’s great. Thank you very much for your time today. It’s been fascinating, brilliant talking to you. Thank you very much. Robin: Okay Mate, thanks, Will. Okay. Will: Okay, cool, that’s good. I will send you a link that allows you to upload your logo, any website details, anything you want officer, maybe put the 20% in because what we do is we’ll just copy and paste that so I’d know that I’ve definitely got all the emails and everything right rather than me so, I’ll send you a link in the next few days. Robin: Sound at the end, was that better, Will? Will: I think so. It’s really hard to know exactly what it sounds like at the end on the video. So, what is I am worried a bit about it? So, what I’ll do is I will make sure that we get that I put it together. I won’t do it completely, but I’ll cut and paste and then I’ll send you a rough copy of it and see if you’re happy with it and see if I’m happy with as well. Because the last thing you want to do is put something out that people can’t hear. Robin: It gets a little frustrating, that great. So, I need to get to the train. Will: Well, good luck today. Robin: Many thanks, cheers, Will, bye. SmartGo is our workplace travel package, offering a range of sustainable travel discounts i.e. savings on buses, trains, cycling, electric vehicle charging etc. (see www.smartgo.co.uk for more info). If someone quotes ‘Green Element’, we would be pleased to provide their organisation with a 20% discount off 1st year SmartGo membership. Annual membership costs start at £45 for the smallest organisations through to £1 per person for large organisations. Offer valid to 31st March 2019. Please email [email protected] for more information and to take-up the offer.